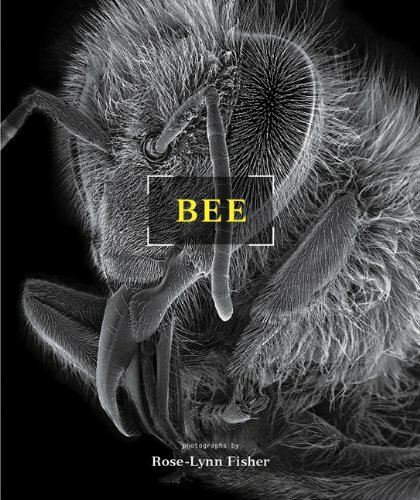 Bee is a book of photographs in magnifications ranging from 10x to 5000x. Presenting views of the bee's eyes, wings, antennae, hair, sting and more. 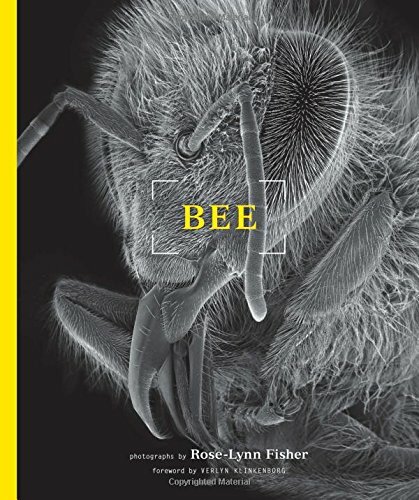 Bee aims to inspire surprise, curiosity and awe through the unique perspective provided by scanning electron microscopy, melding art and science in these images. When our frame of reference is shifted, the interplay of observation and imagination can inspire new ideas, connections and applications. People are generally very surprised by these images, and actually stop to look and consider them. Children, who often love insects, are fascinated by seeing what a bee looks like very close-up. This is therefore surprisingly a family book, as well as a book for photographers, artists, designers, gardeners, environmentalists, engineers, architects, those interested in bio- design and bio-mimicry. From the author: I believe that by seeing what exists in the micro world we may become more sensitised, mindful and caring about our familiar daily realm. My hope is that Bee will stimulate greater appreciation for the bees, more interest in learning about bees and learning from them too. We easily lose sight of our dependence on bees. Who thinks to thank the bees for our orange juice? For pollinating the blossoms of all the plants that produce our food supply; one of every three bites we take is dependent on bee pollination! Or to stop a moment and consider that bees must draw the nectar of more than two million flowers to make just one pound of honey?